Let’s cut right to the chase. Love is the most wonderful feeling anybody will ever feel. Even the hint of love, true love that comes with emotional and sexual intimacy has driven men to build empires, create spellbinding works of art, and undergo horrific punishment, with only the memory of love to sustain them. From the inside, love is the stuff of legends, philosophy, epic tales of adventure and exploration. But from the outside? Love is a collection of biological, emotional, and hormonal impulses. A cohesive force of attraction between man and woman necessary to ensure the survival of the species. Love, as well as all our other instincts, were calibrated during the long period of pre-history. When day to day survival was far from guaranteed. When food, safety and shelter was hard to get. Humans are not like other mammals. We’ve got big brains, thinking brains, planning brains. And these brains take much longer to develop that our animal friends. Even our primate cousins don’t have brains nearly as powerful as ours. We are the only creatures on this Earth that are born before we are done. We need tons of development time outside the womb. This means children, from a purely scientific standpoint, are resource intensive. Extremely resource intensive. You don’t have to have kids to know this. This means that before ancient men and women got together to make babies, they had to be sure. Since junior was going to be so resource intensive, only those that had the strongest of bonds before baby came along actually got together. This emotional bonding force, that made ancient lovers never want to be apart, that made men kill giant creatures to feed his family, is what ensured our human survival. Knowing this gives us an extraordinary opportunity. This means we can reverse engineer that conditions under which love was first created. The way love was supposed to happen way back in the day when all we had was our wits to survive, and nothing else. This is far deeper than just those feelings that lead to sexual encounters. What we are talking about are those ancient deep feelings of connection between man and woman that made them hate to be apart and never want to be with anybody else. Within a loving relationship, love is wonderfully complicated. Rich with indescribable meaning. Small shifts in facial expressions can create a cascade of emotions powerful enough to make men weep. Love is simple. Easy to understand. And straightforward to recreate. The feelings themselves are infinitely complicated. But the situation under which those feelings arise are surprisingly simple. When we understand the structure of our ancient lifestyle and combine that with the advanced language patterns in this course, you will be able to create love in anybody you get to sit across the table from you. Most people have conversations like the way they live life. They do whatever comes to their mind, and hope for the best. But you know there is much more than that. You know that words can be used to elicit wonderful feelings of emotions. Powerful feelings of desire and attraction. Unstoppable yearnings for deeper connections. One of the biggest breakthroughs in the understanding of love is that it happens in the mind of the lover. It is not something that is put into their mind, it is something that grows there over time. Love is an inside game. This is why, up to know, it was thought that you couldn’t “make somebody” fall in love with you. But you can plant the seeds of love. If you wait for a rose to grow naturally, you may be waiting a long time. But if you plant the right seeds, in the right soil, and tend it properly, the rose is a biological and scientific certainty. This course will teach you how to plant the seeds of love within a normal conversation. How to find out what’s already important to them, for their own reasons, and expand those ideas. Magnify them. Explode their levels of pleasure. And then covertly connect those feelings of desire to you. Once the seeds of love are planted in their mind, you’ll know how to slowly infuse the other two necessary ingredients. The two ingredients that few people ever have the pleasure of experiencing today. But without these two vital ingredients, love will never sprout, love will never grow. You’ll know precisely why so many seek love, yet never find it. You’ll learn how to start a conversation with somebody you’ve just met, and carefully plant the small seeds of love. You’ll know exactly how to use your language to plant further seeds in further conversations. And most importantly, you’ll learn how to let those seeds grow into a garden of mutual pleasure. If you’re in a relationship, and the spark is gone, you will know exactly how to bring it back. Exactly what to say and do when you’re with your partner to get them feeling those same clumsy feelings of uncertain desire like when you first met. These will work if you’re eighteen or eighty. You’ll learn a simple technique to use in those wonderful afterglow moments, when you are lying silently next to each other, that will create so much pleasure in their mind, they’ll never, ever want to leave you. It will work if it’s your first time together or your millionth. This easy-to-learn technique will make them reorganize their entire life and their priorities around you, if that’s what you want. Needless to say, these powers will make you a very dangerous person. Being able to create undying love and affection in nearly anybody you meet can be misused. This course is not meant to be taken lightly. Love is a very wonderful feeling, the most wonderful of all. But purposely creating this feeling in others for your own purposes is extremely dangerous. Be warned. But I’m Already In Love! Congratulations! Even if you have an existing relationship, this course will help you understand what part of it works, but more importantly, why it works, so you can do more. You’ll also know what doesn’t work (and why) so you can do less. Surprise your partner with you new powers of love. Take an already good relationship and explode it with orgasmic pleasure. This for both men and women to use to create love in whomever they want. 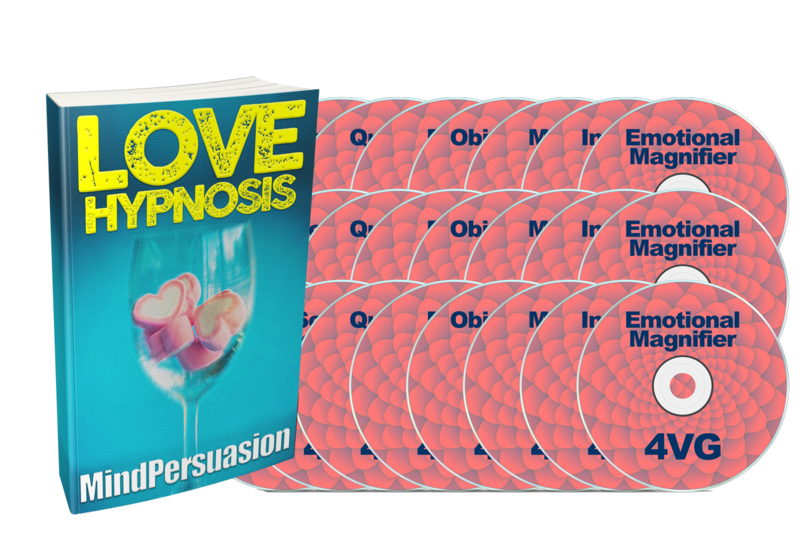 Built into this course are the most powerful conversational and covert skills of persuasion you will ever need, for any purpose. Even if you have enough love in your life, you can use these techniques to sell anything to anybody. Making money is easier than creating love. To create love, you take the time to elicit their most cherished feelings, and then carefully connect those feelings to you. Selling things is way easier. The same process is used, but on a much lighter and quicker level. If you have an ex, you’ll exactly what went wrong, and how to repair your broken relationship. Understand that this is not always possible. If there has been serious harm done, if trust has been broken, it may be beyond repair. But if you relationship is at all salvageable, this will teach you how. This course was created from the standpoint of pure objectivity. From an outsider looking in. You’ll understand everything there is to know about what love is, why it exists, and most importantly, how to create it and maintain it. Even if you are in a relationship that is perfect, these skills are handy to know, just in case. Think of these as your back pocket emergency skills in case a friend comes to you, or your own children find themselves unexpectedly in love without a clue. You’ll be able to calmly sit them down, and explain to them exactly what they need to do, and in what order. Even if you are perfectly content being alone, you’ll understand how love works. You’ll be the expert everybody seeks in matters of the heart. Your advice will strike home and resonate with all who are lucky enough to receive it. Loving all about love and how it works will make you a social authority. People will come to you as their local love expert, and want to know exactly how they can catch the person of their dreams. And if you feel they are worthy, you can bless them with your knowledge. Full manual with all the conscious training you need. The scientific backgrounds, the theoretical understandings. The daily activities you can start today to begin building your love skills. This manual will shed the light on all your past relationships. You’ll know what worked and why, and what didn’t work and why not. The manual will give the theoretical and practical understandings to get started right away. You’ll understand the reasons behind the wonderful feelings of love. You’ll understand exactly what to do to start building your love generating skills. This alone is far more than most will ever do, but this is just the beginning. 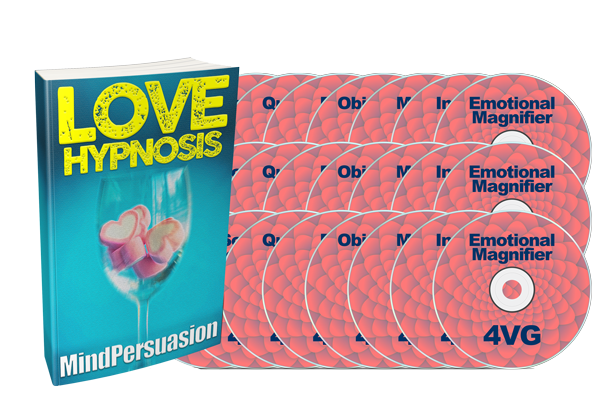 The manual gives you the ideas behind the seeds, but the listening sessions will transform your mind on a deep level so you can build your love building skills as fast as you possibly can. These sessions are designed to program your mind on three levels. Higher mind, where you know what’s happening, your inner mind, on the border between conscious and unconscious understanding, and your deeper mind, far below your normal level of conscious awareness. Awake and alert subliminal programming. Listen to these session when in any social situation and feel social concerns evaporate. These are perfect when you are on your way to any social situation where you’ll be meeting people, or before any date. This will put your mind in the perfect place for turning on your love powers. Four voices backed by Theta Brainwave inducing sounds. Theta is when your mind is on the border between awake and asleep. The realm of consciousness where thoughts become things, where you can slowly begin to augment your reality. Choose an appropriate visualizing and let the sounds do the rest. These powerful sessions have 256 voices, all speaking at once. A fire hose of powerful information flooding your subconscious with powerful ideas about the new love power you are learning to harness. Create the visualization based on the instructions in the guide, hang onto it for as long as you can while the careful blends of voices, sounds and gentle noise put you into a deep sleep, where your mind will be resonated on a deep level. Use your conversational power to get them feeling wonderful and covertly attach those feelings to you. Get them talking about deep desires in ways they never have before. Open up their ideas about the future in magnificent ways. Set and respond only to your own chosen incentives. Free yourself from external pressures. Choose your thinking and behavior based on your self-chosen desires. Free yourself completely from outside influences. Be a creator of love, not a slave to it. Always stay grounded in logic and rational thought. Flip in and out of subjectivity ease. Step outside of yourself in the moment and easily choose the best course of action from a purely objective standpoint. With the right mindset, you can sweep anybody off their feet. Understand your true value and project that to others through your powerful frame. Under your words will resonate the worth of your presence. Be the one who chooses. Develop a solid set of criteria you sort the through the world to choose your ideal romantic partner. Others will be desperate to pass your tests. Leverage the most powerful trigger of desire. Give them the gift of your absence. Let them create the perfect image of you in mind while they wait desperately to see you again. Turn random conversations into bliss generating memories. Find the pleasure in everybody. Turn small talk into unexpected love bombs. Use to balance your lover powers or blast your subconscious with all voices and all statements at once. Use to resonate your inner love generator throughout your entire being. We know the idea of being able to make anybody fall in love with you sounds far-fetched. But we are so sure you can use the techniques in this guide to never feel any amount of uncertainty again, never worry about your affection being reciprocated, and always feel in control of your relationships, we’ll give you two full months to try it out. If you don’t think this course will deliver on any of its promises, you’ll get every cent back, no questions asked. 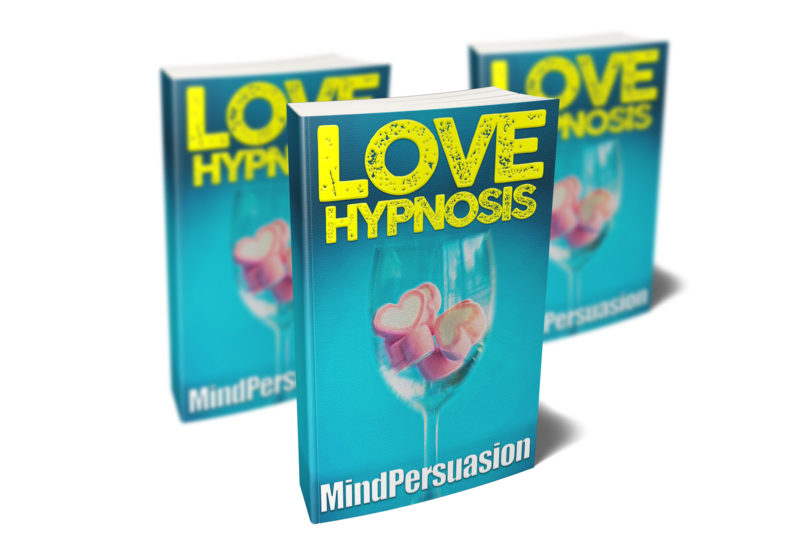 Get this course today and start generating those wonderful feelings of love in whomever you want. When you understand how love works from the outside in, it’s incredibly simple to understand, and easy to make happen. Stop dreaming about your ideal lover and go out and find them, and use the techniques in this course to make them fall head over heels in love with you. The techniques in this course will make you a better friend, a better partner, and even get your boss to think of you in much more positive terms. Become the person everybody wants to have around. Get this course today and make life magic. Never worry about falling in love again. Create love from scratch, and get anybody you want to fall for you. Strangers, friends, and anybody you find yourself in a conversation with can be yours forever. Most people have fantasies and hopes, and not much else. This course will teach you how engineer the most wonderful feelings humans can feel, and use that as the cornerstone of your new life. Get this now and leave uncertainty behind.